Dusty pink velour hooped dress. Trimmed with gold lace and floral braid. This dress has a removable cape. Also include is a matching crown. Gold dress shoes are available to finish of this Royal look. 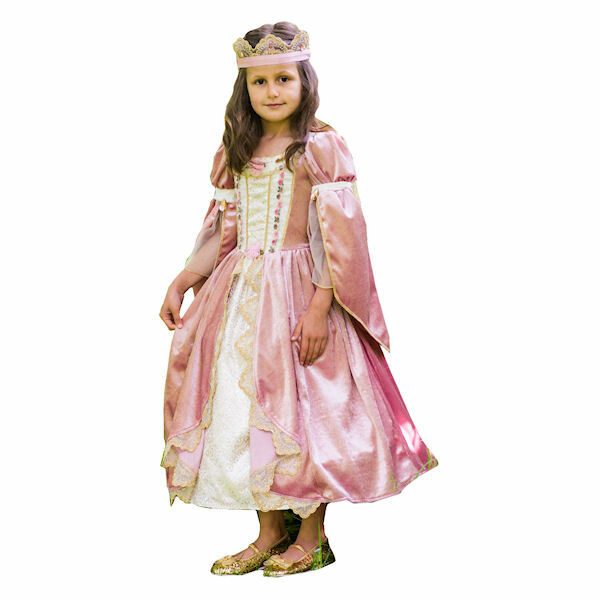 None specified at present for Royal Princess by Travis Dress Up By Design. 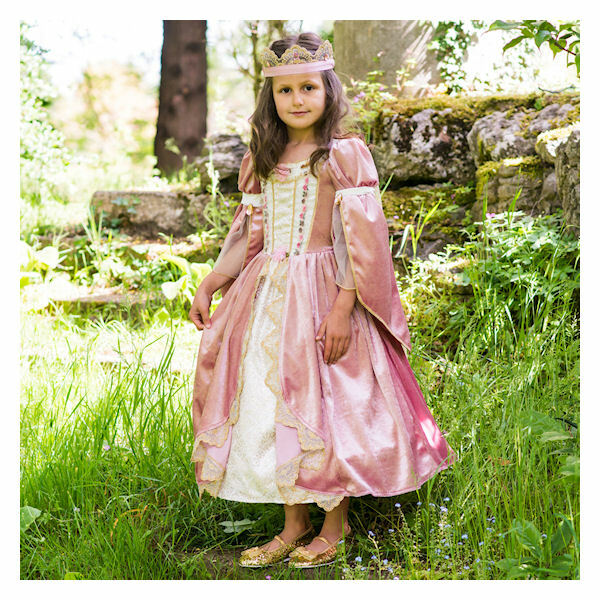 This gorgeous princess dress is made from dusky pink velour and is trimmed with gold lace and floral braid. The flowing inner sleeves are made from sheer organza. 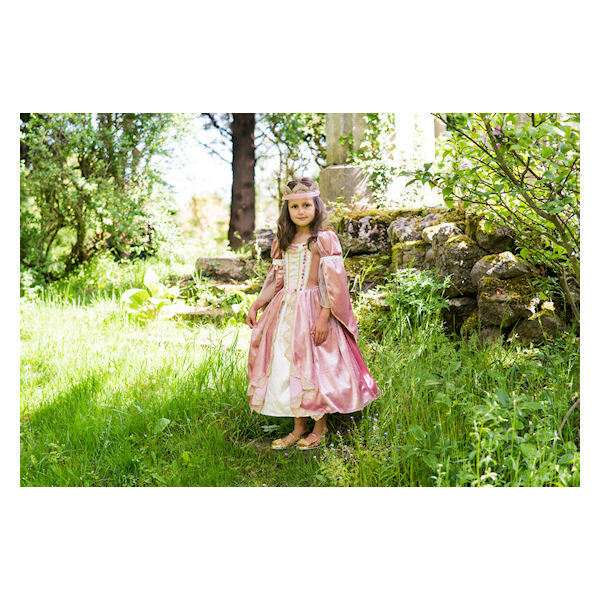 This lavish style that comes complete with a crown garland trimmed with lace; gold removable cape and has a magnificent hooped skirt. There are no videos for Royal Princess by Travis Dress Up By Design at present.